There has been a whole lot of hullabaloo these days about label fidelity in the craft distilling industry. The main sights have been set on Templeton Rye whiskey, which has been dodging its label providence for some time and has finally been caught, but others have been called into question as well. The uproar in the whiskey geek community is one that I share, wholeheartedly. Distillers, both large and small MUST be held accountable for what they're putting in the bottle. I've been following it, and silently agreeing with it...but I've refrained from speaking out. Why bother adding another voice to the din of chatter parroting the same sentiment I have? Recently, on Reddit, a discussion stemming from Chuck's work stemmed about the providence of Barterhouse bourbon. Finally, I caved. It's time I said something. But it's not what you think it's going to be. No long diatribes and half-cocked rants about the industry this time. It's time for me to help out. To put my resources to good. So here we go. I'm going to show you how to become more comfortable in your whiskey purchases, thanks to the good old internet. So, let's do this, shall we? It's long. It's wordy. It can be confusing. But, as a consumer, it's DAMN helpful. It will tell you what each category means, legally, and (more importantly) what it DOESN'T. The big debate on Reddit was the definition of straight and, in this case, Barterhouse Bourbon from the Orphan Barrel series. Now here's where I dig into my bag of tricks. The secret of all secrets. Are you ready? 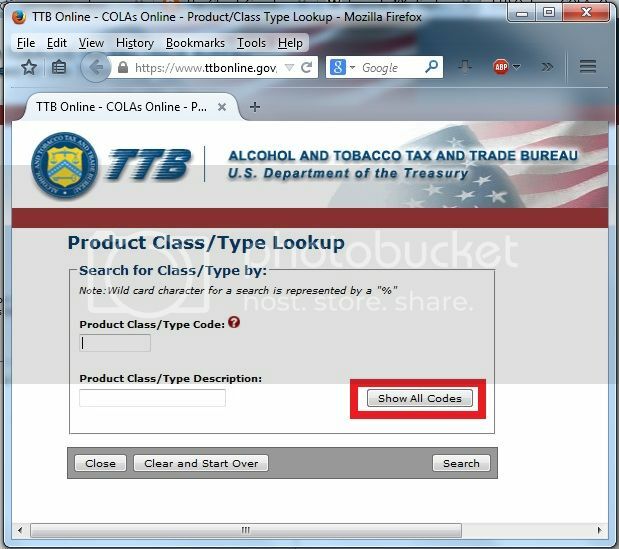 Step 1: Go to the TTB website! 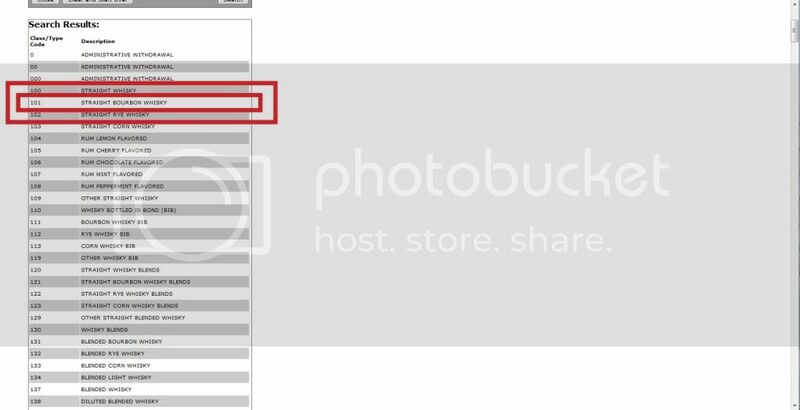 See that link in the red rectangle? Click it. It will bring you to this page. Certificates of Label Approval (COLAs) will give you a lot of information about your whiskey. See that link there? Click on it. But you're not a distiller! You're not applying for a COLA! Don't worry, I got you on this. Okay, you're here but you're worried about the login. Don't. See that little link up there? That SUPER IMPORTANT LINK FOR CONSUMERS? Click it and get ready for a wealth of information. Is this. The technical aspects of the distilled spirit. You can't lie to the government. Well...you CAN but it's pretty hard. A good chunk of things are here. Ripe for the lookin'. You'll note that the listing type (in red) is BOURBON WHISKEY. Funnily enough, on their website, they call it a "Kentucky straight bourbon whiskey". So it's straight, right? Well...it meets the technical classifications. It's a bourbon. It's 2+ years. However...remember that little red box I said you should pay attention to? Click on it. It should bring you to this. Why isn't it listed as a straight bourbon whiskey? I don't know. But don't believe any of the hoopla that they put on websites or send out in press releases. So far, no one's been enforcing it. Now, I trust the government these days about as far as I can throw it...and there's a lot of people in it (and I have a bad back). However...I do trust their ability to bureaucratically keep records. So all the information I need is right here. And, now, all the information you need is as well.